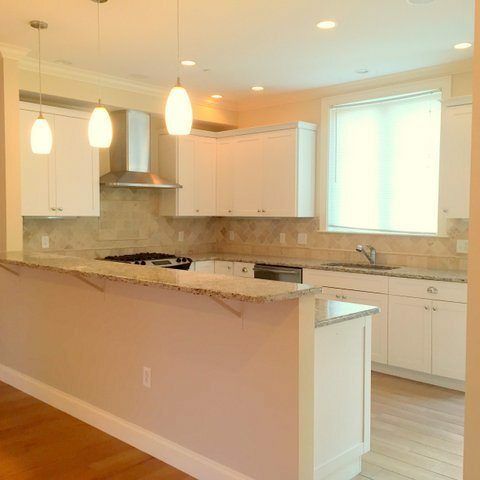 Newly Constructed 3 Bedroom townhouse with Garage Parking! Spectacular Custom Single Family with Drive in Garage Parking Built from the Ground up in 2012! Located in Town Hill, one of Charlestown’s most sought after Historic Districts! New Construction in 2012! State of the Art Finishes throughout! 3 Bedrooms and 3.5 Baths! 2 Bedrooms with en suite baths! Large Sundrenched Courtyard, Deck with Gas Grill hookup & Huge Roofdeck with Jaw Dropping & Endless Skyline Views! Amazing Open Front to Back Living, Dining, Kitchen! The Designer Chef’s Kitchen offers abundant cabinetry, granite slab counter tops and enormous breakfast bar! Superior Appliances including a built in wine cooler & microwave drawer! Gleaming Hardwood Floors are In Every Room! Positioned for East & West Sunshine! Wonderful Floorplan for Easy, Graceful Living & Entertaining! Ipod docking system & Surround Sound built in Speakers! 2 Separate HVAC Systems for the maximum in High Efficiency! On Demand Hot Water! Full Basement Storage! A Truly Outstanding Home!